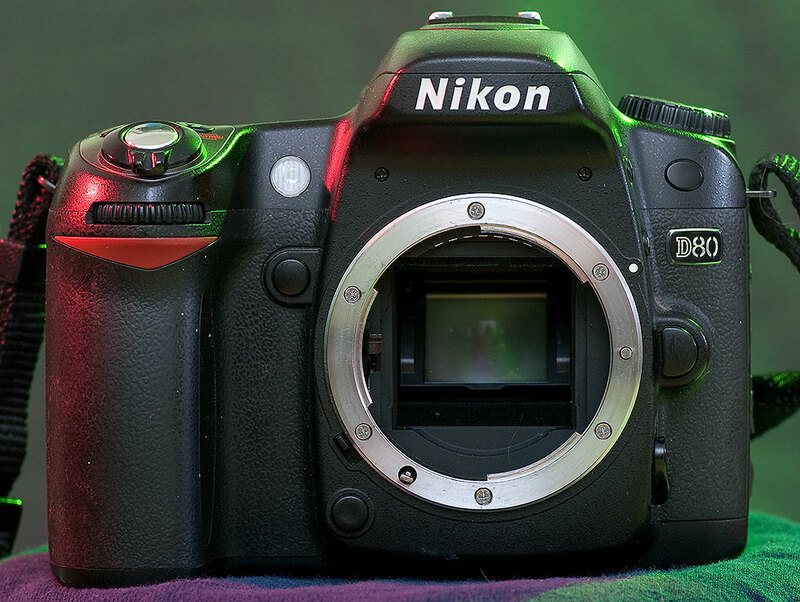 The Nikon D80 is a fairly straightforward camera – not fancy, but capable of delivering great images. 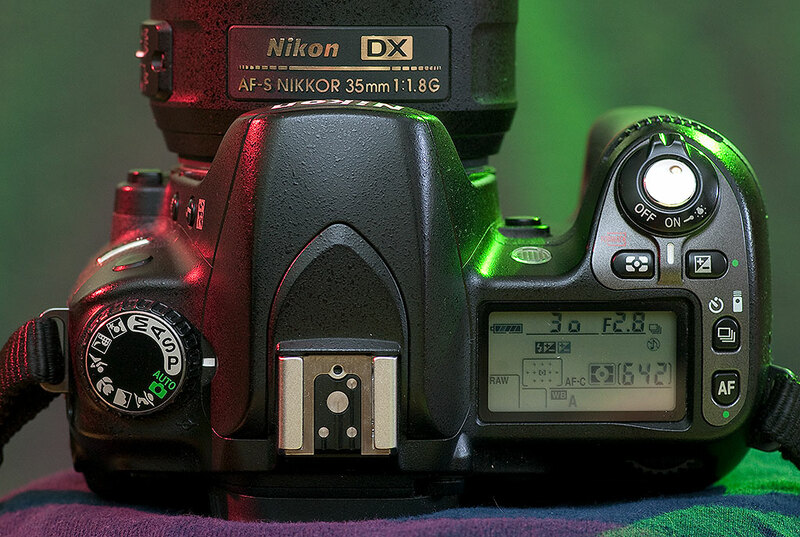 The badge on the left front of the D80 is smart-looking. People on the street, and students in my class, sometimes tell me their ten year old camera has died, and ask if it would be worth getting it repaired. The answer is usually no, because so many cameras that fetched top-dollar when they were new are no longer worth much on the resale market, yet would be very expensive to repair. In smaller hands like my wife’s, and especially with smaller lenses, the D80 is nicely compact and lightweight. 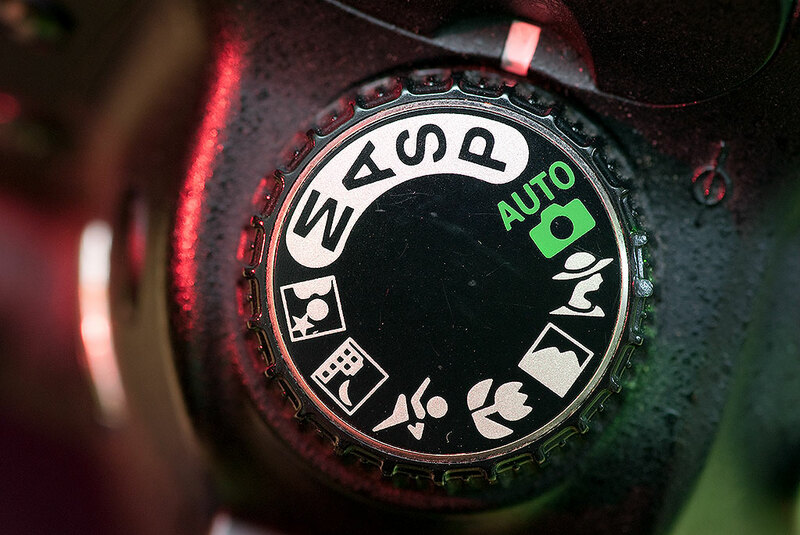 In addition to the standard PASM options, the exposure mode dial on the Nikon D80 features the amateur “green box” all-auto mode, as well as several not-very-effective “scene”modes. Almost all the cameras on the street are in the “amateur” or “advanced amateur” class, a group of photographic tools that have gotten much more affordable over the years. That leaves us with two options: replace the camera that originally cost $1200 (like my wife Abby’s 2005-era Nikon D70S) with a much better one in the $400-$600 range (like the Canon EOS Rebel T5 with its kit lens for just $399), or poke around Ebay or Craigslist or pawn shops for a used version of our dead camera. The D80 only takes one card, and the door for it is small. 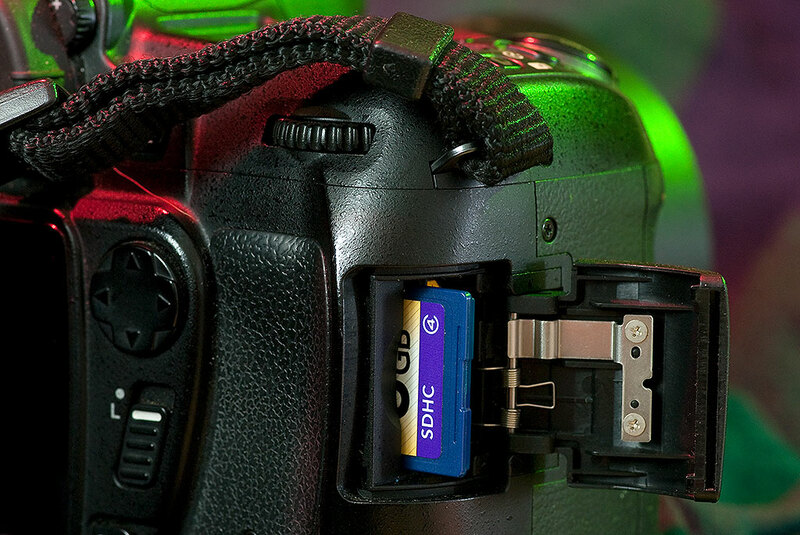 On one of my D80s, the slot is now sticky, and it’s hard to eject the card. 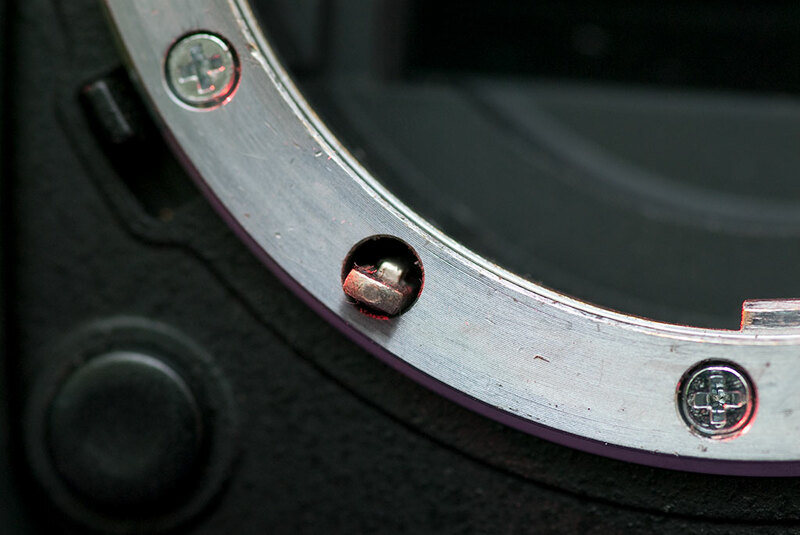 If you have older AF Nikkor lenses, the D80 will autofocus them, thanks to the inclusion of an in-camera focus motor, which drives this little linkage that resembles the tip of a screwdriver on the lens mount. An excellent example of this is the Nikon D80. When it first appeared on the market 10 years ago, this camera retailed for $1000, but today even the cleanest ones on Ebay are never more than about $180. For me, this is exactly the kind of bargain that allows us to use and enjoy perfectly good technology, that once fetched big money, at nearly giveaway prices. 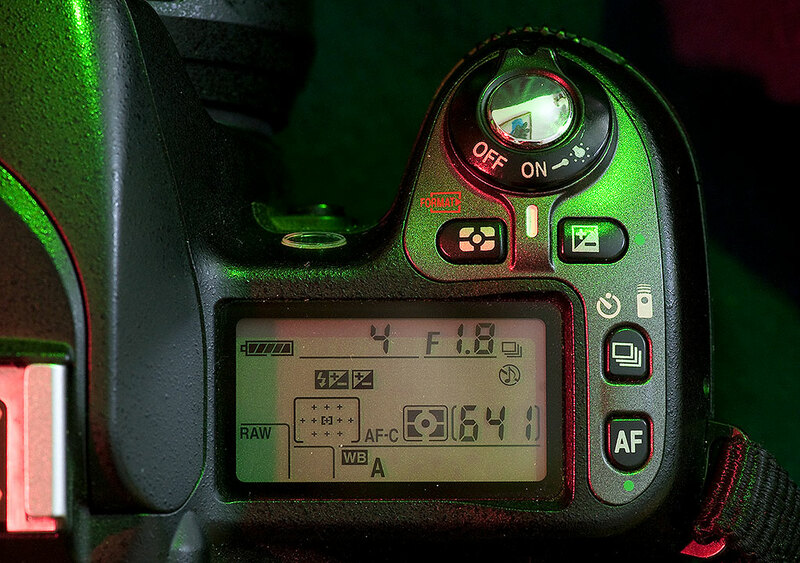 The control cluster on the top right of the Nikon D80 has a good-sized LCD readout and buttons that will be familiar to most Nikon users. I have a couple of D80s, both bought used, that deliver amazing image quality, image quality that is honestly very hard to beat. It takes a lot of photographer and a lot of necessity to generate a situation in which older, used cameras can’t deliver great pictures. 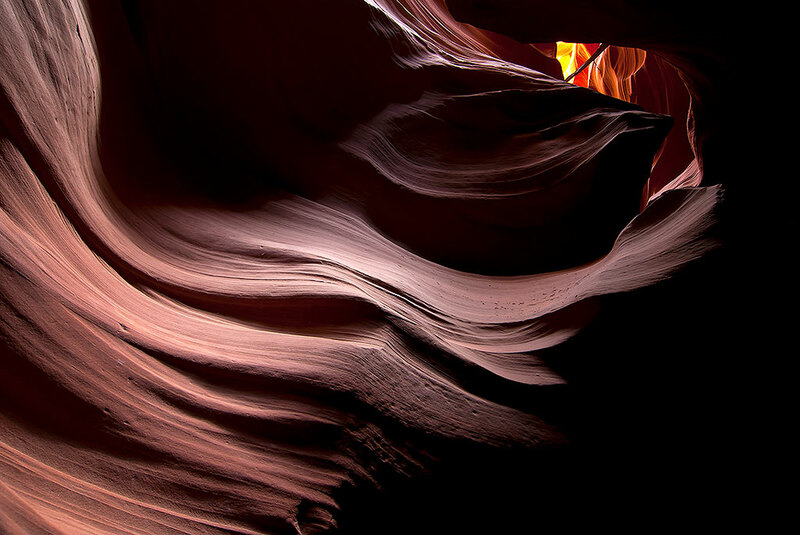 I have a 13×19 inch print of this image of Arizona’s Antelope Canyon hanging in my office. Made with the 2006-era technology of Nikon’s D80, the image quality, even printed this big, is astonishing. 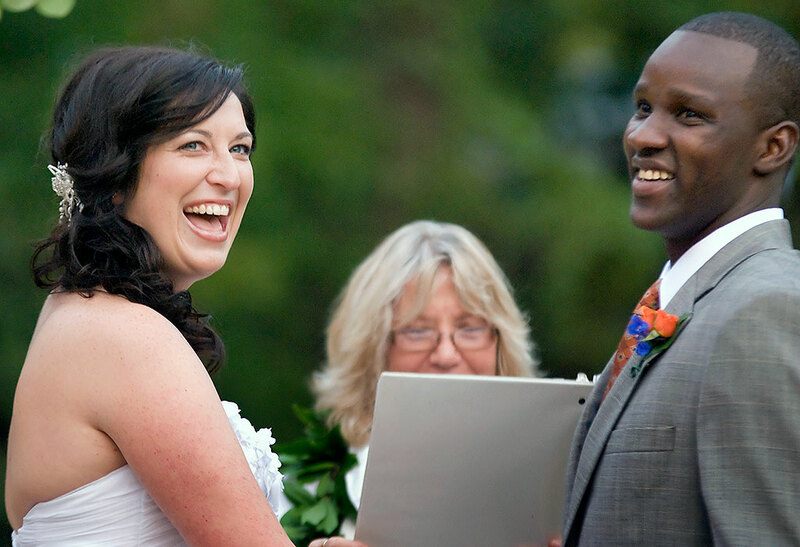 I’ve shot a few weddings with the D80, and the client was always happy with the result. I’ve said this before, as have others, but it bears asserting again: you don’t need to upgrade your camera. You need to wear it out. If you are thinking about picking up a D80 is a pawn shop or from the web, and the price is right, make your move. This camera will make good pictures. 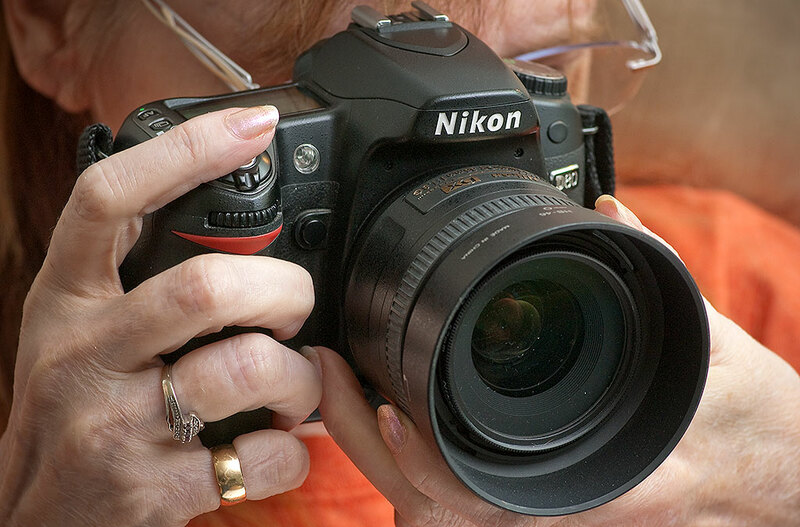 The top of the Nikon D80 is good-looking and has controls where they are needed. It is reassuring to know that even somewhat antiquated technology, by almost any reasonable standard, is still capable of working and working well today. I have tried to keep in mind your exhortation to “wear your camera out,” which is one reason I haven’t bothered upgrading from my Walmart-bought D3200 (though I admit I am about to reach that point). As long as it works and does the job I need it to, why change it? I have enough lenses to make the camera body itself only part of my approach; with that in mind, I realize I ‘m in pretty good shape. I’d be more concerned about keeping up with the latest versions of Photoshop. Great piece. Your notes are well timed. I paid about a 100.00 for a D80 recently and have noted marked differences between my other Nikon’s. I would enjoy seeing your thoughts on differing models as well.